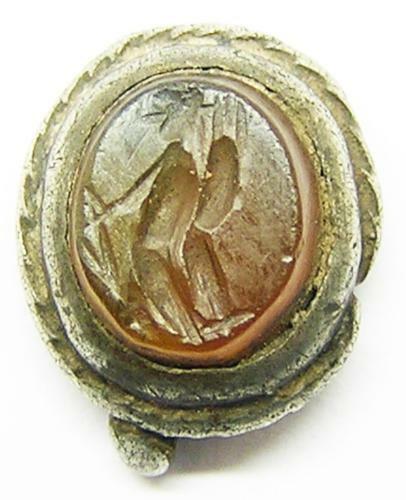 This is a simple ancient Roman intaglio of Fortuna, dating to the 3rd century A.D. It is cut on a carnelian gemstone. Set into a later medieval silver pendant, dating to the 12th - 13th century. The pendant is missing the suspension loop. An excavated jewel with a long history.